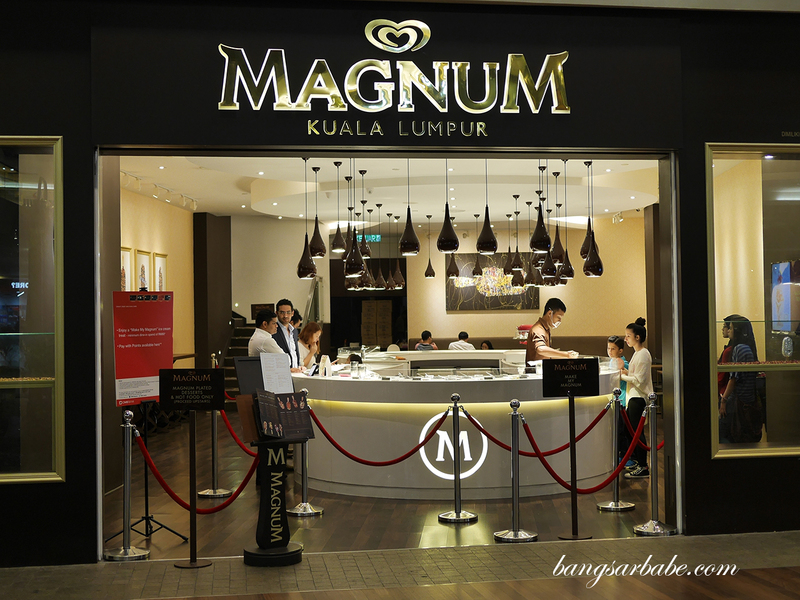 Magnum Café in Mid Valley has been around since late last year; I remembered seeing massive queues whenever I went to that mall. 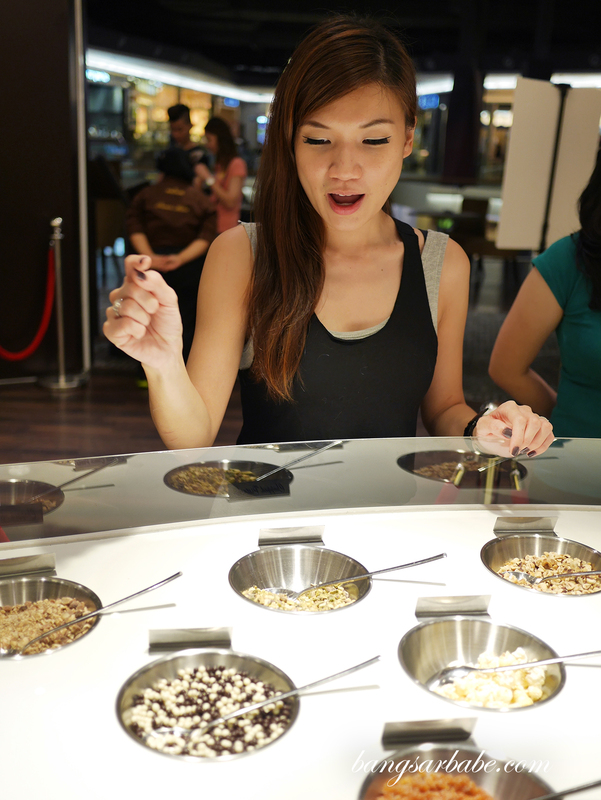 Everyone wanted their share of Magnum treats especially since the brand introduced the concept, “Make My Magnum”, where customers can custom-make their ice cream using the variety of toppings provided. 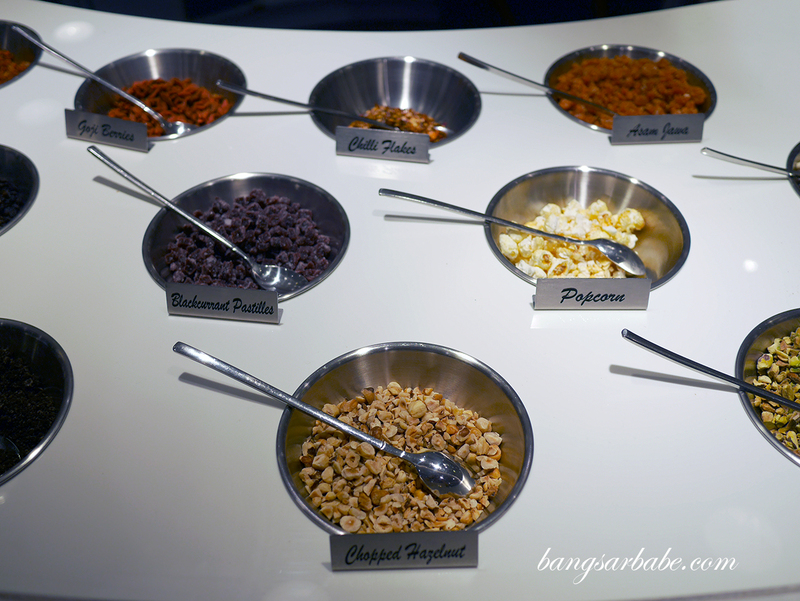 This concept got me pretty excited as well – you basically make your way to the counter and select three toppings of your choice. 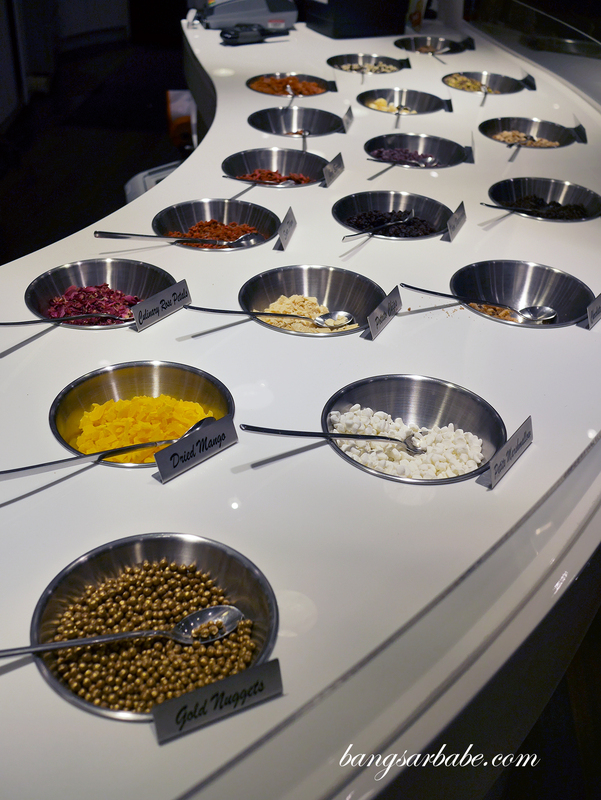 After that, you’re given a shaker to mix your toppings up and the staff will place them on top of your fresh Magnum ice cream before drizzling more chocolate on top of your creation. If that isn’t guilty pleasure (RM9.90 per stick), I don’t know what is! 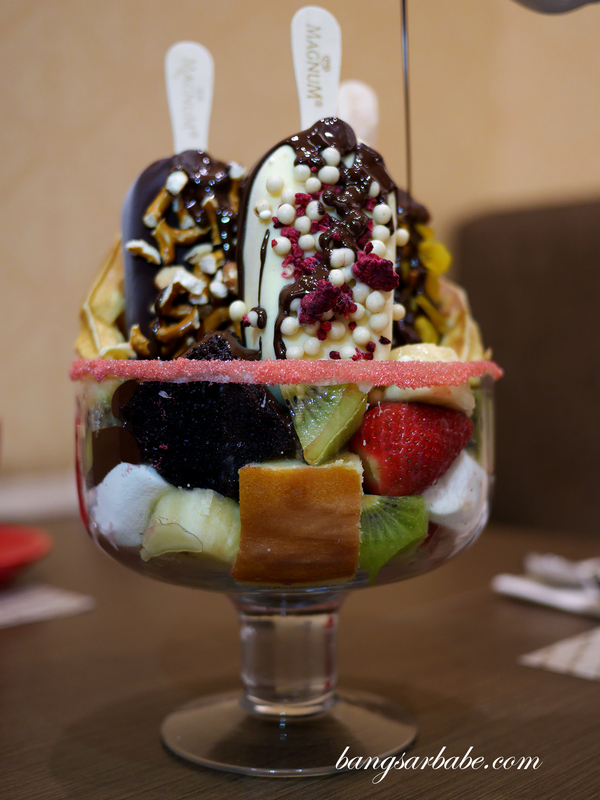 We also tried the Magnum Crown Jewel (RM77 per sharing portion), a sumptuous assemblage of milk, dark and white Magnum chocolate bars with nuts, dried fruits, fruit slices, brownie, butter cake, marshmallows and Belgian waffle. This is further topped with warm Belgian chocolate so the fruits and cakes get to soak up all that chocolate-y goodness. This is good for a party of 4 or more and I love how there’s so much going on in a bowl. You have crunch from the nuts, tartness from the fresh fruits, richness from the cakes and a delicious gooeyness from the warm chocolate. 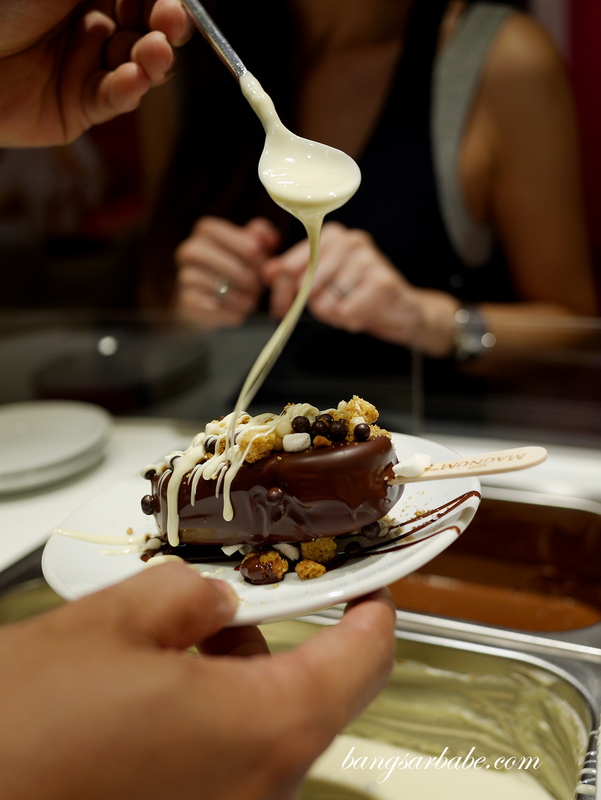 All that, with fresh Magnum bars. 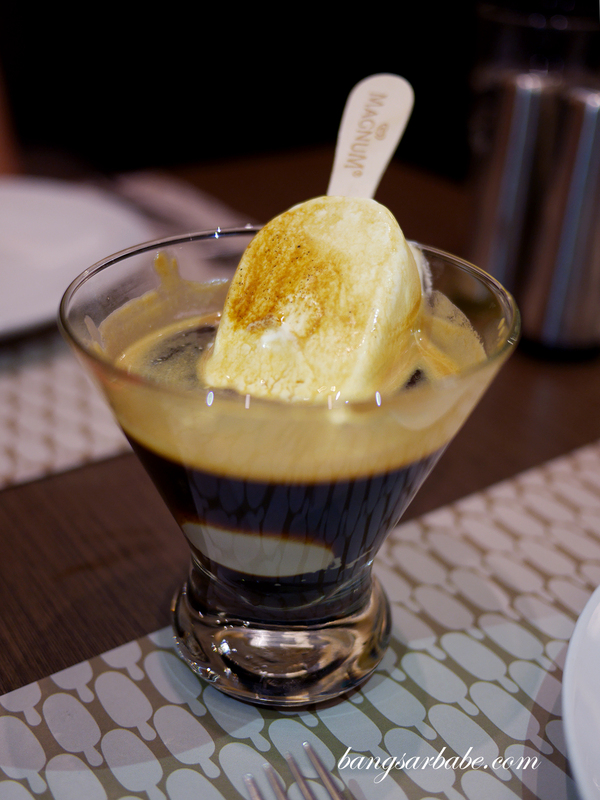 If you aren’t quite the pleasure seeker, try the hot chocolate (RM15) or Affogato (RM15) where the latter features a whole magnum bar dunked in espresso. 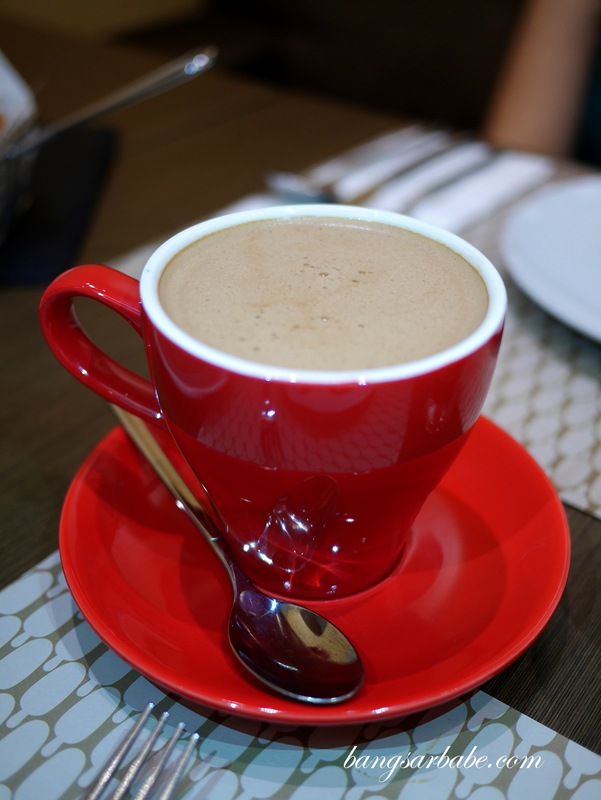 I found the hot chocolate pretty good – it wasn’t overly sweet nor was it too diluted. I didn’t find this cloying at all. 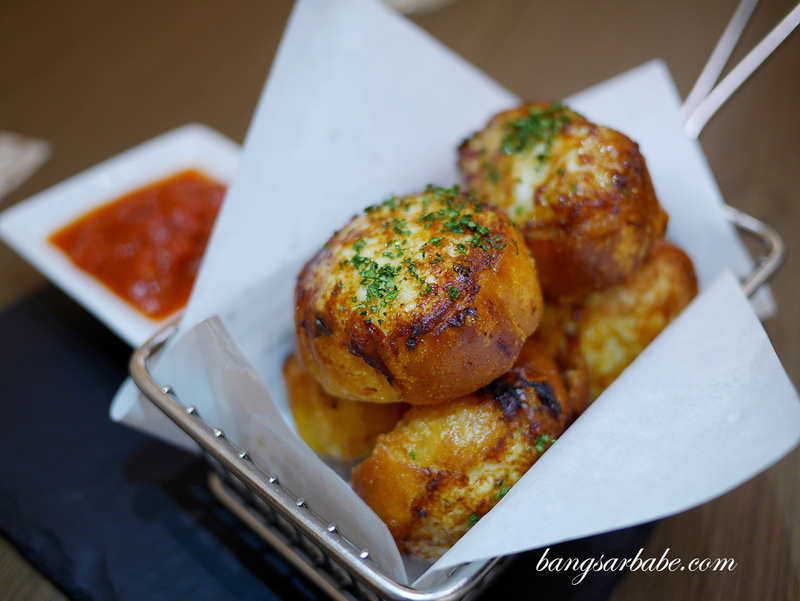 Magnum Café also serves savoury items such as the Chicken Toasties with Chunky Tomato Dip (RM20). This is quite addictive, especially when eaten with the tomato dip. 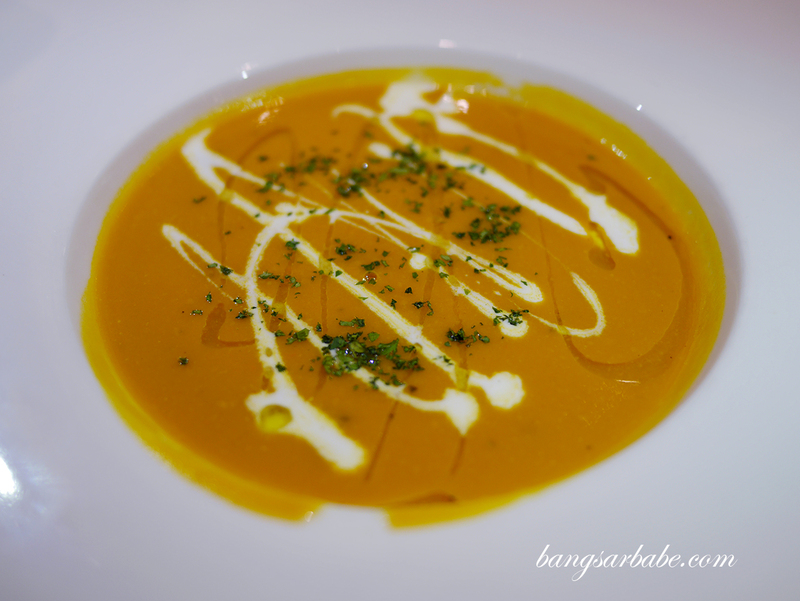 While the Carrot & Peanut Soup (RM16) didn’t sound very appealing, this turned out pretty decent. I liked how the soup was adequately thick and aromatic from the roasted peanuts. The Chicken Rendang Pasta (RM36) packs a punch. 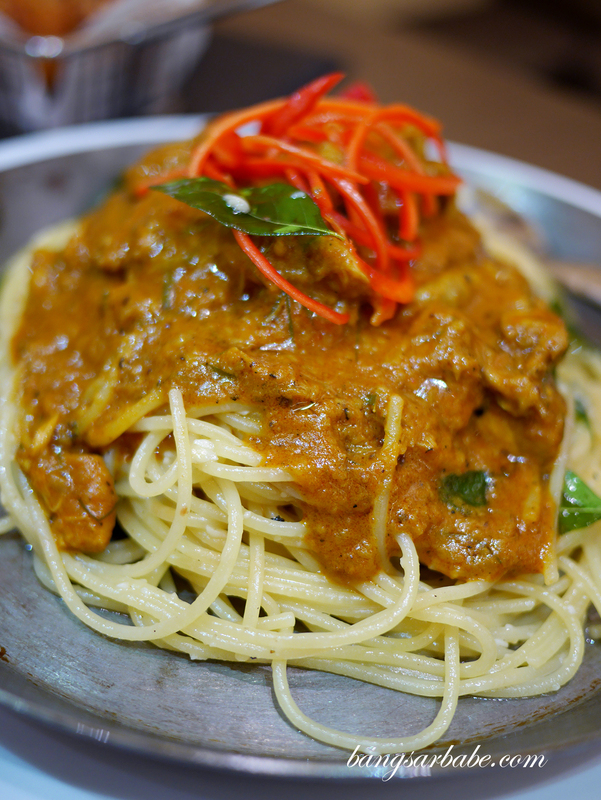 The rendang gravy is thick, aromatic and full of flavour, which coated the pasta well. 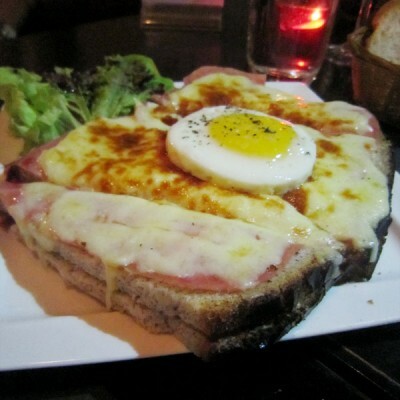 Portion is large enough for 2-3 adults so it’s advisable to share. 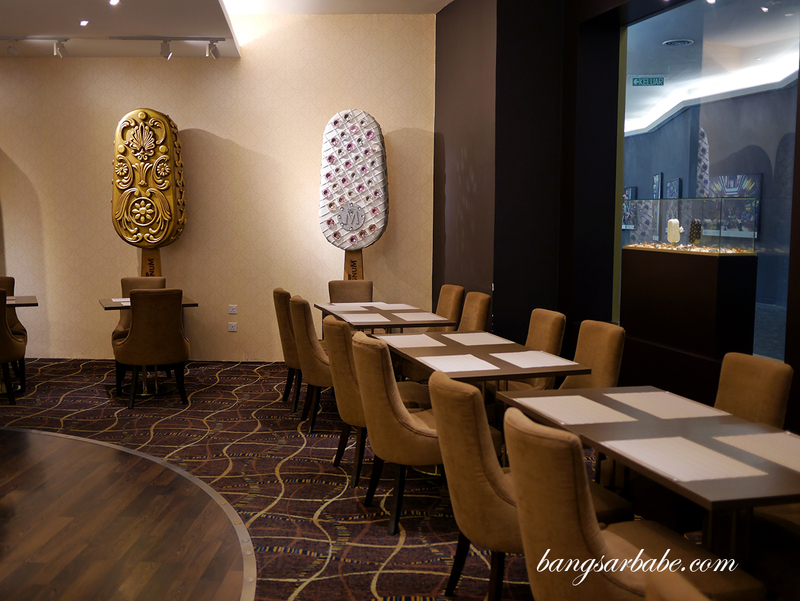 Magnum Café in Mid Valley occupies two floors on Level 3, and its spacious and artistic interior makes it a great venue for celebrations, functions and gatherings. 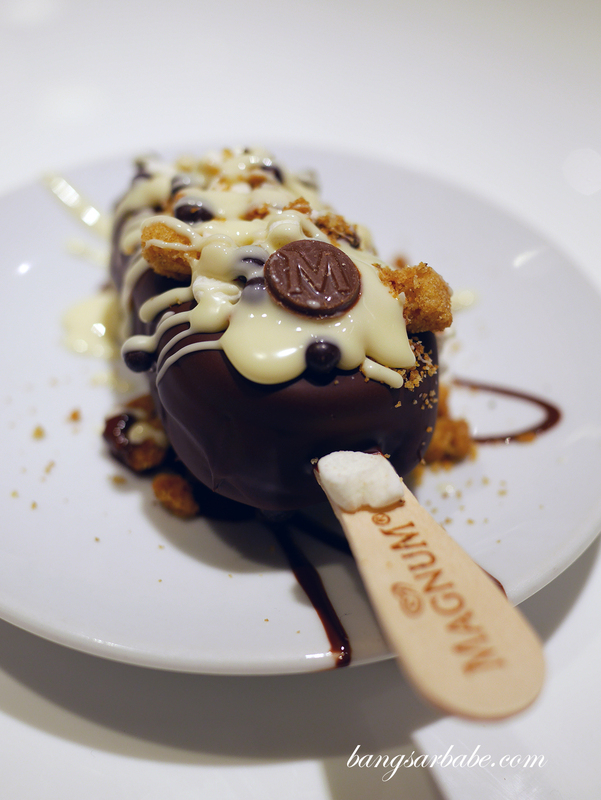 Verdict: Try the “Make My Magnum” for yourself. 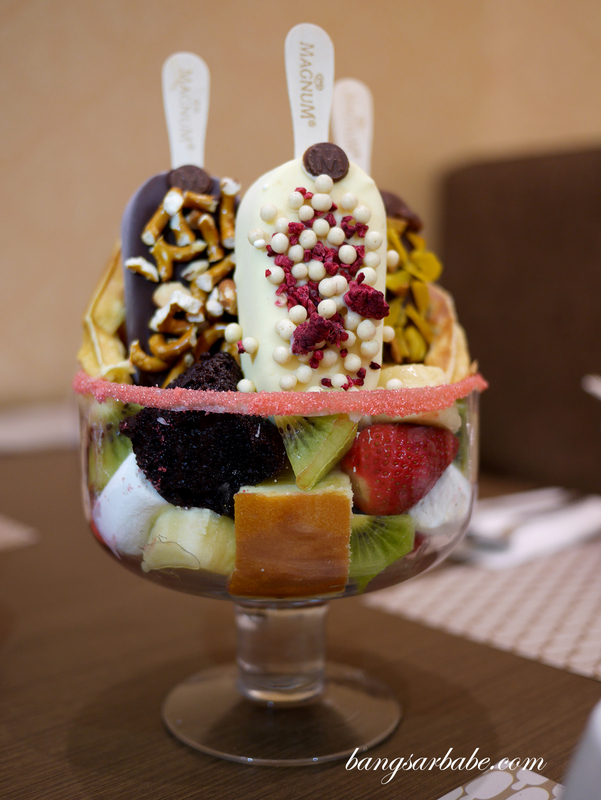 If you’re there with a large group, order the Magnum Crown Jewel.